Just show the voucher at the bus stop next to Atocha Railway Station at 11:00am and be taken directly to the park. Are your children fans of Bugs Bunny, Tweety, Sylvester or Daffy Duck? 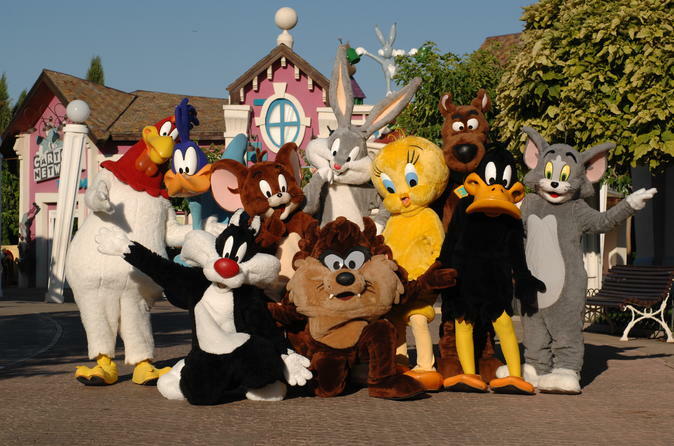 All of them live together in the theme park of the Warner. Don’t you have children? Not a problem! The Warner Park has fun for all ages. You will love the Gotham City, where they carry out one of the best especial effects shows in Madrid. Are you a roller-coaster lover? In the Warner Park of Madrid, you will be able to get on the frenetic Tom and Jerry roller-coaster tower at 1200 feet. Children under 3 feet don’t need to pay!